The resistance occurred between 1895-1906. They were led by a leader called Orkoiyot Koitalel Arap Samoei. To keep Europeans from invading their territory. To stop them from building the railway line through their land. British had well trained army. 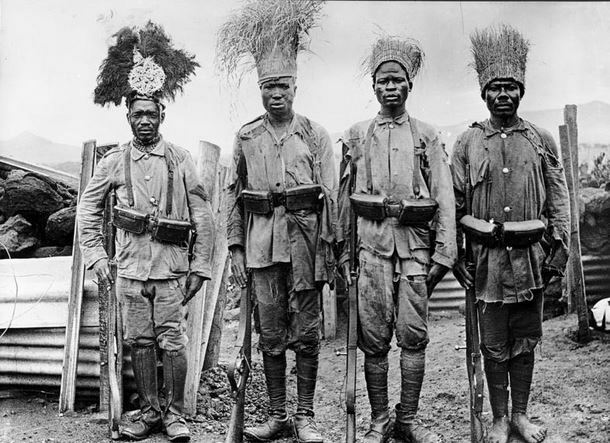 Neighbouring African communities assisted the British. In 1906, the Nandi were completely defeated. Here is an image of Orkoiyot Koitalel Arap Samoei. They did not want to lose their land to European settlers. They feared that Nabongo Mumia would get support from the Europeans to extend his kingdom into their territory. They wanted to preserve their culture. The British got help from other foreigners who came in from Uganda and from the Coast. These foreigners were mainly traders. Mwanga became the Kabaka of the Baganda when he was young. When he became an adult, he did not like the activities of the British missionaries and wanted them stopped. In 1887, he ordered all the Africans in Buganda who had become Christians to give up the religion. Those who refused to do so were killed. In 1888, Christians and Muslims united and drove him out of power and expelled him from the kingdom. The Protestants were particularly angry because he openly supported Catholics. 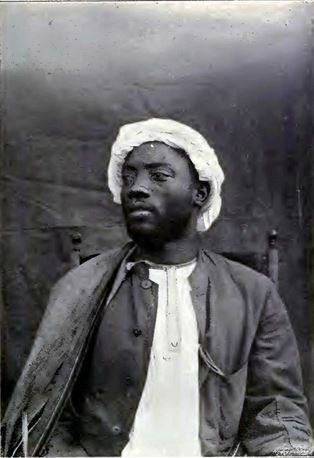 Mwanga returned to Buganda and in 1897 was arrested and imprisoned in Seychelles where he died in 1903. The Hehe lived in Southern Tanganyika around the present day town of Iringa. They were led by chief Mkwawa. The resistance took place between 1891-1898. They were against Africans forced labour in German cotton plantations. They opposed forced paying of tax. Mkwawa was defeated and he committed suicide. Germans cut off his head and took it to Berlin. It was brought back in Tanganyika in 1954. Both German and Hehe soldiers were killed. It temporarily weakened the German army. This meant that they were not able to attack the local villages for some time. Many crops and food stores were destroyed during the rebellion. This caused famine. The rebellion exposed the cruel manner in which the local people in Tanganyika were treated. Other revolts in Tanganyika included Majimaji rebellion led by Kinjeketile and Abushiri revolt led by Bwana Heri. 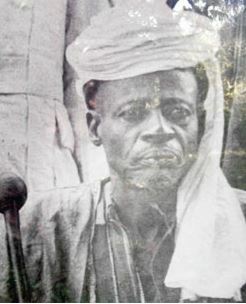 Samoure Toure, born around 1830 was a Maninke from West Africa. He was one of the most famous African leaders in the 19th century who built a great empire and strongly resisted French colonisation. In around 1851, the village where his mother lived was raided and his mother captured. He served the captors for seven years in exchange for his mother’s freedom. After this experience he gradually established his own army and headquarters at Sanankoro. Between 1860 and 1870 he conquered the neighbouring territories and was able to create an empire for himself. By 1879, his Maninke Empire stretched from Sierra Leone to the Ivory Coast. He divided the empire into ten provinces, three of which were controlled by his ministers and seven by his military officials. He was the overall head of the empire as well as the civil service and Islamic religion. He fought the Frensch in a war known as the Battle of Farandugu. He was defeated in 1898, captured and taken to exile. He died in 1900. 1. Some African leaders were arrested, detained or even killed. 2. Africans were forced to pay tax. 3. African resistance was crushed and they lost their independence. 4. Many people we killed during the fights. 5. Africans lost their land to the Europeans. Nabongo means King. Mumia was the Nabongo of the Wanga people of the Abaluhyia community in Western Kenya. He was born in 1850, and was the son of Nabongo Shiundu. Mumia became Nabongo in 1882, during the period of European exploration. The only way Europeans could get to Uganda was by passing through the Wanga Kingdom. Therefore, Nabongo Mumia interacted with early European travellers and allowed them to break their journey and rest in his kingdom. He sent his warriors to fight alongside the British, and against the communities that resisted the British rule like the Luo, Kabras and Ababukusu. He had heard that the British rewarded people who assisted them by making them Paramount Chiefs. He wanted assistance to defeat his brother who wanted the kingship. He wanted military assistance to defeat his enemies. In 1909, the British government rewarded Mumia by making him a Paramount Chief of the entire region. What Mumia did not realise is that what he had been awarded was merely an empty title since he had lost most of his real power. He had no power over other Luhya communities. The British had gained control of the region. 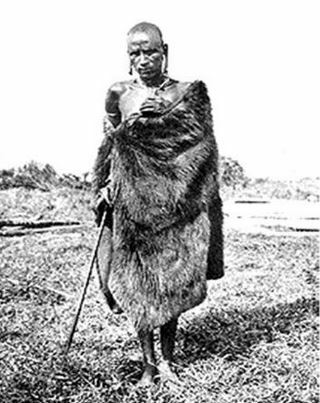 Waiyaki was a leader of Agikuyu people who lived in the present Kiambu District. The coming of the European traders was not welcome news to the Agikuyu. 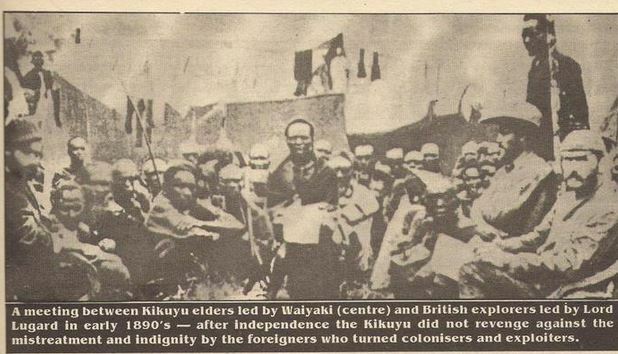 When, in 1890, Captain Fredrick Lugard arrived at Dagoretti in Kiambu District he made an agreement with Waiyaki that the Agikuyu people would supply the British with food and water. However, while Lugard was away on a trip his officers raided villages around the fort. Waiyaki was very angry because the agreement they had signed had been broken. He led his soldiers to set the Fort on fire and completely destroyed it. Waiyaki demanded a meeting with the British officer in charge of the Fort. This officer was called Purkis. Purkis' soldiers rushed in and beat Waiyaki up then arrested and imprisoned him. Waiyaki died in prison before his trial. He encouraged trade with the communities along the East African coast. This way, he was able to obtain weapons which made his army strong. He also welcomed missionaries into the Kingdom hoping that they would use their modern weapons to protect his kingdom. He also hoped that they would reduce the Islamic influence in the region. Lewanika was a Paramount Chief of the Lozi people of Zambia. He needed protection against the Boers who were approaching the interior from the south. Boers are descendants of the Dutch who settled in South Africa and became Afrikaners. He was also afraid that his kingdom would be attacked and defeated by the Ndebele who were very powerful in the area. He wanted the missionaries to introduce schools in his kingdom so that his people could learn how to read and write. To get protection, Lewanika signed treaties with the British South Africa Company. In these treaties, he gave away part of his territory without knowing. Lewanika gave up mining rights to the British and this made him weaker. He was paid a salary, roads were built in the territory. The Maasai were famous for being fearless warriors and when the British gained control of Kenya they were mainly afraid of the Maasai. However, in the 19th century, the Maasai had fought amongst themselves about who would be the next ruler and were no longer united enough to present a strong resistance. Their livestock had also been attacked by diseases and many of them had died. This meant that even economically, they were very weak. When the Maasai realised that the British had good weapons and were powerful, they were afraid of them and did not want to engage in any kind of conflict with them. The Maasai leader at this time was Laibon Lenana. Lenana wanted the British to help the Maasai to be powerful once more, so that they could defeat the Nandi who were their big enemy at the time. He also wanted support to fight his brother, Sendeyo, who wanted to become the leader. This is why around 1905-1906, Lenana sent 1 000 Maasai warriors to fight other communities for the British and also allowed the British to construct a railway line through his territory. Later, the British turned against the Maasai and wanted part of their land for white settlers. Lenana was made to sign an agreement with the British that moved all the Maasai from their land and sent them to live in two main reserves, one around Ngong in Kajiado and another in Laikipia. In 1911, more settlers arrived and more land was needed. A second agreement was signed, and the Maasai under Lenana were forced to move again, from Laikipia to the Ngong reserve.